Many people spend years of their lives going on and off diets and trying the latest techniques to lose weight. 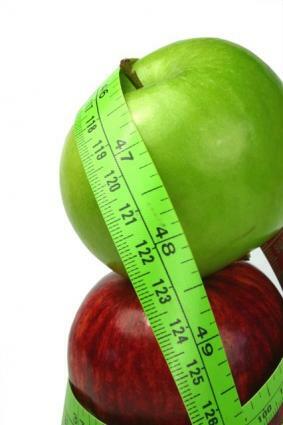 Americans spend more than $40 billion annually on diet books, products, plans and programs. Many who are spending their hard-earned money fail to realize that losing weight need not cost any money, provided they follow some common sense strategies. It is possible to lose weight in a healthy manner without spending any extra money on the myriad of expensive diet products and programs available. Tip #1: The best diet is one you will follow. Regardless of how much weight others have lost on a beet and tuna diet, if you hate beets and tuna, then chances are you will not fare well on that diet. Likewise, if you are a dedicated carnivore, then a vegan diet isn't going to be something you can sustain, and if you love pasta and rice, then there's a good chance you will not be able to sustain a low-carbohydrate diet for the long term. Before you begin dieting, make an honest assessment of your likes, dislikes, and what you are willing to do for several months or even a lifetime. If you select a diet that doesn't suit your tastes, you will be setting yourself up to fail, which can trigger additional weight gain and may cause a loss of something critical for weight loss success: self-esteem. Tip #2: Exercise is important, but it doesn't burn as many calories as you think. Exercise plays many key roles in a healthy weight loss program. It can help slightly increase your metabolism, burn a few extra calories, and it protects your heart, lungs, and cardiovascular system. Many dieters overestimate exercise's effects, however, believing activities burn far more calories than they do, or thinking exercise is going to greatly affect their metabolism. This can lead to overeating, which is a diet saboteur. Do exercise, but avoid eating a lot more food to compensate. Tip #3: Social support is important. Eating is a highly social activity, and spending time with friends can sabotage your diet if you give in to peer pressure. Seeking social support can help, however. Share your goals with your family and friends, and when they invite you to partake with them, remind them about what you are doing. Likewise, finding a supportive group with goals similar to yours with whom you spend time can help you stay on track. It works for the scouts, and it can help your diet, too. Plan meals and snacks that fit with your lifestyle. Carry health foods with you when you are out and about, and consider preparing and freezing healthy meals on the weekends to eat throughout the week. Tip #5: Avoid getting hungry. If you are hungry, you're more likely to forget your goals and eat whatever you find. Deprivation also has de-motivational effects that can sabotage you emotionally. You can utilize many strategies to avoid hunger depending on the type of diet you choose to follow. For instance, try eating every few hours to maintain steady blood sugar, carry diet-friendly foods with you that you can eat when you feel hunger flare-ups, and seek healthier alternatives to foods you love rather than denying yourself altogether. Tip #6: Crash dieting leads to crashes. Extreme diets are usually nutritionally bankrupt and don't provide your body with the support it needs. While you can lose weight very quickly on some of these diets, they are not sustainable for the long term. There's a very good chance you will regain weight you lost once you return to normal eating. Not only that, but eating an extremely restricted diet can lead to muscle loss, which will ultimately lower your metabolism. Instead, choose a healthy diet that meets your body's nutritional needs. Tip #7: Raise your metabolism with strength training. Muscle is hungrier tissue than fat. By performing strength training activities, such as push ups and lunges, you can build muscle mass that allows your body to burn more calories. Tip #8: Set goals and reward yourself for achieving them. Flagging motivation can wreak havoc on a diet. Set short and long-term goals and provide small, non-food rewards when you obtain them. Spend an hour watching a television show that nobody else in the house can stand, for instance, or go enjoy a few hours at the beach. Tip #9: Lower your stress. Stress causes your body to release certain hormones, including cortisol and adrenaline. When you are under chronic stress, your body continues to produce cortisol, which can lead to weight gain or halt weight loss, according to MedicineNet. While many don't think of relaxation as an important diet strategy, it is. Taking time to relax and de-stress by spending quite time, pursuing an activity you love, or meditating can help regulate your body's cortisol production. Tip #10: Get plenty of sleep. According to WebMD, lack of sleep can contribute to weight gain or halt weight loss. Inadequate sleep can lead to excess cortisol production. Likewise, it can lower your inhibitions, as well, leading you to overeat or consume unhealthy foods that contribute to further exhaustion. It becomes a vicious cycle from which it is difficult to escape. Try to get at least eight hours of sleep each night. Losing weight is a highly individual process. Different methods work for different people. Incorporating the above strategies into whatever weight loss regimen you choose, however, can help you manage your program and meet your goals more effectively.